Narayana Junior & PU College and IIT Academy in Hyderabad, Bangalore, Delhi. Dr. P. Narayana is a phenomenal personality in the realm of education,who laid a progressive path for young generation in India. 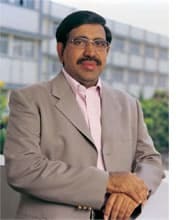 He was born in 1957 at Nellore,graduated and honoured with gold medal in statistics in 1977.In 1979 with a missionary and visionary idea he established Narayana coaching center at his home town.Later,the concoction of his acumen,extensive experience ushered to establish 500 centres across 14 states with 30,000 highly experienced teaching & non-teaching staff with nearly 3,00,000 students across India. “Greatness stems from Kindness”.The meritorious and economically backward students in colleges and schools are awarded financial support for their higher studies every year. Anything the students ever wanted, dreamed of or hoped for can be accomplished in the beautiful paradise Narayana Junior College the undisputed monarch. He says, “When we work hard with clear focus our dreams come true”. The purpose of life is to be honorable, to be compassionate and to be a source of inspiration for others. Indeed it is another golden feather in the annals of Narayana Educational Institutions. Narayana Yoga and Naturopathy Medical College stood as one of the best colleges in India. That lasts long to the times eternity.